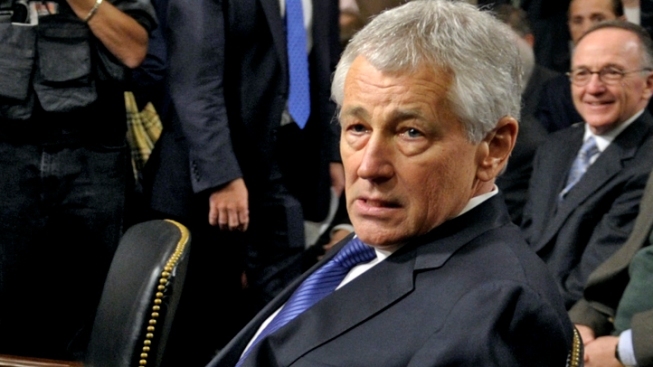 Former Nebraska Republican Sen. Chuck Hagel is President Barack Obama's choice for defense secretary. A bitterly divided Senate panel on Tuesday approved President Barack Obama's nomination of Chuck Hagel to be the nation's defense secretary in a rancorous session at which Republican questioned the former GOP senator's truthfulness and challenged his patriotism. On a party-line vote of 14-11, the Armed Services Committee voted to send the nomination to the full Senate, where Republicans have threatened to delay a vote on the president's choice to succeed Defense Secretary Leon Panetta. For full politics coverage, visit NBCNews.com. Democrats have the votes to confirm Hagel, a twice-wounded Vietnam combat veteran and former two-term Nebraska senator, and Senate Majority Leader Harry Reid, D-Nev., said he would press ahead with a vote on the most divisive nominee of Obama's second-term national security team. 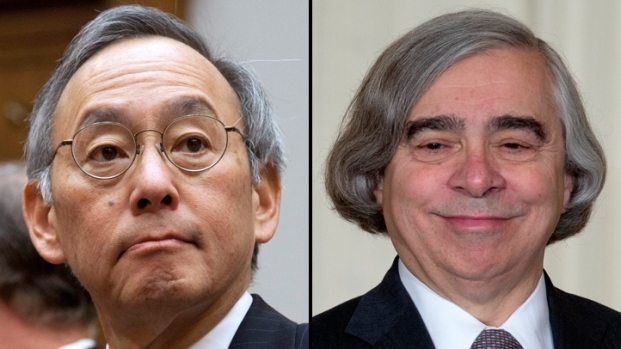 Obama's Cabinet: Who's Staying, Who's Going? Committee Chairman Carl Levin, D-Mich., said after the hearing that he was hopeful the Senate could confirm Hagel by week's end. Hagel has faced fierce opposition from Republicans who have challenged his past statements and votes on Israel, Iran, Iraq and nuclear weapons, but the two-hour-plus session took an uncomfortable turn for some members of the traditionally bipartisan panel. Freshman Sen. Ted Cruz, R-Texas, insisted that Hagel provide information on compensation for paid speeches over a five-year period — three years more than required — and suggested that without the information, the committee wouldn't know whether Hagel got money from "extreme and radical groups." Cruz also suggested that Hagel's unwillingness to cooperate indicated that he was being less than forthcoming with the panel about possible payments from foreign sources. Hagel already had told the committee that during the past 10 years neither he nor his wife had received any compensation from, or been involved in any business transactions with, a foreign government or an entity controlled by a foreign government. Cruz's statement angered the committee's chairman, Sen. Carl Levin, D-Mich., who rejected the notion of a different standard for Hagel than for other nominees and said he was "not going to accept your suggestion and innuendo." Another Democrat, Sen. Bill Nelson of Florida, accused Cruz over going over the line. "You basically have impugned the patriotism of the nominee" with suggestions that he is cozy with Iran, Nelson said. "You also stated your opinion that you don't think he's truthful. Those are two fairly strong statements." Sen. Jim Inhofe of Oklahoma said reports about Iranian leaders praising Hagel's nomination back up Cruz's claim. "I'd say he's endorsed by them. You can't get any cozier than that," the panel's top Republican said. It fell to Republican Sen. John McCain to offer the strongest defense of his onetime friend, political ally and fellow Vietnam veteran. "Sen. Hagel is an honorable man. No one on this committee should impugn his character and integrity," said the Arizona lawmaker, who later voted against the nomination. If confirmed by the Senate, Hagel, 66, would take charge of a military in turmoil, with looming budget cuts, the drawdown of U.S. combat forces in Afghanistan and threats from North Korea, which defied the international community Tuesday in conducting its third nuclear test. Citing those threats, Levin said the committee could not allow further delays to Hagel's nomination. "We need a secretary of defense," Levin said. Democrats highlighted Hagel's military background and the unique perspective he would bring to the Pentagon while arguing for giving a second-term president his Cabinet choices. Sen. Tim Kaine, D-Va., said he wants a secretary of defense worrying about the men and women of the military, and he was certain that would be Hagel's overriding concern. Republicans contended that Hagel was out of the mainstream on numerous critical issues, from threats in the Middle East to Iran's nuclear ambitions. His halting testimony at his confirmation hearing last month also troubled senators. "The next secretary of defense will deal with a world on fire, and the testimony of Sen. Hagel was not reassuring," said Sen. Lindsey Graham, R-S.C. McCain said Hagel's performance was the worst of any nominee to testify before the committee. Hagel's allies acknowledged his struggles, with Sen. Jeanne Shaheen, D-N.H., saying she wished he were feistier and Sen. Angus King, I-Maine, saying Hagel should have been more forceful. But they argued that should not disqualify the nominee. All 55 Senate Democrats are expected to vote for Hagel, and two Republicans — Sens. Thad Cochran of Mississippi and Mike Johanns of Nebraska — have announced their support for the nominee. Although McCain and several other Senate Republicans oppose the choice, they have said they won't take the unprecedented step of delaying a vote for defense secretary. Privately, Republicans say a drawn-out filibuster would be unsuccessful. More than a dozen Republicans have said they will oppose their former colleague, and several others have indicated they are likely to vote no. Sen. Kelly Ayotte, R-N.H., a member of the Armed Services Committee, said Tuesday she would vote against the nominee, citing his performance at his confirmation hearing. Hagel seemed ill-prepared under withering cross-examination from committee Republicans in nearly eight hours of testimony on Jan. 31. He was repeatedly pressed about past statements and votes on Israel, Iran and nuclear weapons, with GOP lawmakers suggesting he wasn't sufficiently supportive of Israel or anti-Iran. In the memo circulated Tuesday, Republicans sought to draw comparisons to the 2005 fight over President George W. Bush's nomination of John Bolton to be ambassador to the United Nations, when Democrats tried to stop the nomination. The position is not Cabinet-level, however. Faced with a Democratic filibuster, Bush circumvented the Senate and made Bolton a recess appointment. One senator, Republican David Vitter of Louisiana, did not vote in the committee Tuesday.